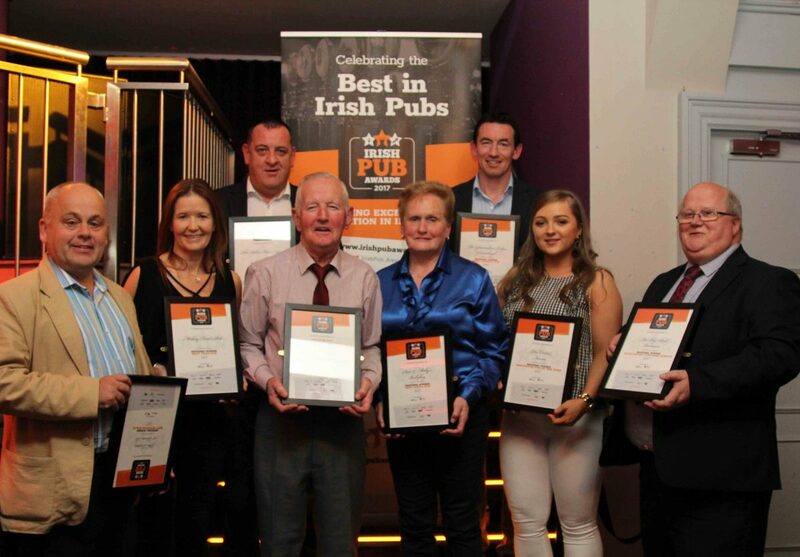 Irish Pub Awards: East of Ireland Regional Winners Announced. 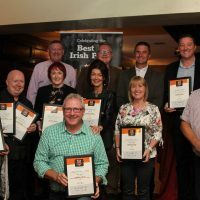 Some of the finest pubs in the East are celebrating after coming out on top at the Irish Pub Awards 2017 regional final, which took place in Judge Roy Bean’s, Newbridge. Co Kildare last night (Tuesday. 3rd October 2017). They will now go forward to the National Awards Ceremony on 8th November. Best Music Pub sponsored by IMRO: The Palace Bar, Navan. The Irish Pub Awards are jointly presented by Vintners Federation of Ireland (VFI) and Licenced Vintners Association (LVA). A series of seven regional events are taking place around the country between 18th September and 4th October to announce 56 finalists through all categories. Speaking at the Awards Ceremony, President of VFI, Pat Crotty expressed his delight in how well the Awards are going. “Entries for the inaugural event surpassed expectations all around Ireland and the judges had a difficult decision to make to reach this final list”. “The pub is a central part of our hospitality and tourism sectors as well as being a meeting place for locals. 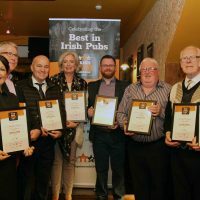 It is a major contributor to growth in our regional economies, so these awards will be an important vehicle to showcase the diversity that is available in the modern Irish pub and recognise the creativity and innovation that is already there”, he added. The National Irish Pub Awards are open to all members of VFI and LVA. The 56 regional winners will be showcased as best in class in their area and will win a prize package of management training to help them progress their business further. They will also avail of comprehensive media coverage including a profile in the special awards supplement which will be published in the Irish Independent on the day of the Gala Awards Ceremony to take place in RDS Concert Hall, Dublin 4 on Wednesday 8th November next.The overall category winners will also be featured by trade media partner Drinks Industry Ireland. Brian Foley, Communications and Public Affairs Manager, Vintners Federation of Ireland.